During the winter months, the pace of every winery slows down and everything becomes a bit more peaceful. The grape vines are given the chance to rest, and the wines are placed into barrels to begin the aging process. If you believe that winter isn’t a good time to visit a winery, here are six reasons that will change your mind! This is the most obvious benefit of visiting a winery during the off-season. Since many people only associate wineries with the spring, summer, and fall, you won’t have to worry about crowds and can take your time enjoying the full winery experience. The cold temperatures of winter change our palettes, as we look for warm, hearty meals to combat the cool weather. This means one thing: it’s red wine season! It’s the perfect time to pair a glass of Cabernet Sauvignon or Malbec with a flavorsome meal. During the winter months, we are all guilty of spending too much time indoors and experience cabin fever. Going to a winery is the perfect escape, as you can walk around a cozy cellar, taste fantastic wines, and take in the fresh air of the vineyards. 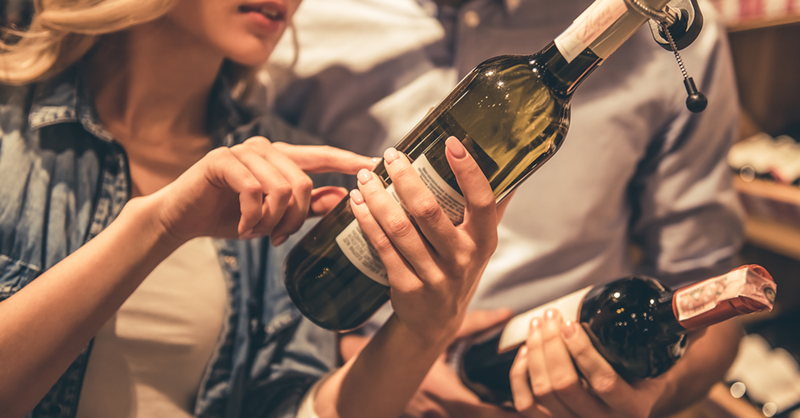 The holiday season is notorious for wreaking havoc on wine collections nationwide, as families enjoy copious glasses of wine as they spend time with each other. Visiting a winery during the winter months allows you to taste new wines, and replenish vintages that have been depleted during the holidays. The winter months provide us with amazing seasonal wines, from traditional full-bodied reds and ports to comforting mulled wine. This is possibly the greatest reason to visit a winery during the winter. There is nothing more beautiful than sitting in a warm dining room and looking out at a snow covered vineyard and winery, as you sip a flavorful wine. So there you go, there’s the top six reason why you should visit a winery this winter. If you still need an excuse to visit a winery, take advantage of our weeknight special and stay at Aerie’s Resort & Winery for just $99! During your stay with us, you’ll be able to sample our Private Label Wines, sourced from local, award-winning wineries, wide variety of national and international wines, and full bar of beers and spirits. You can also enjoy our exhilarating year-round zipline, spot American bald eagles near the confluence of the Illinois and Mississippi rivers, and experience the best view in the Midwest. Click here to start your winter adventure!